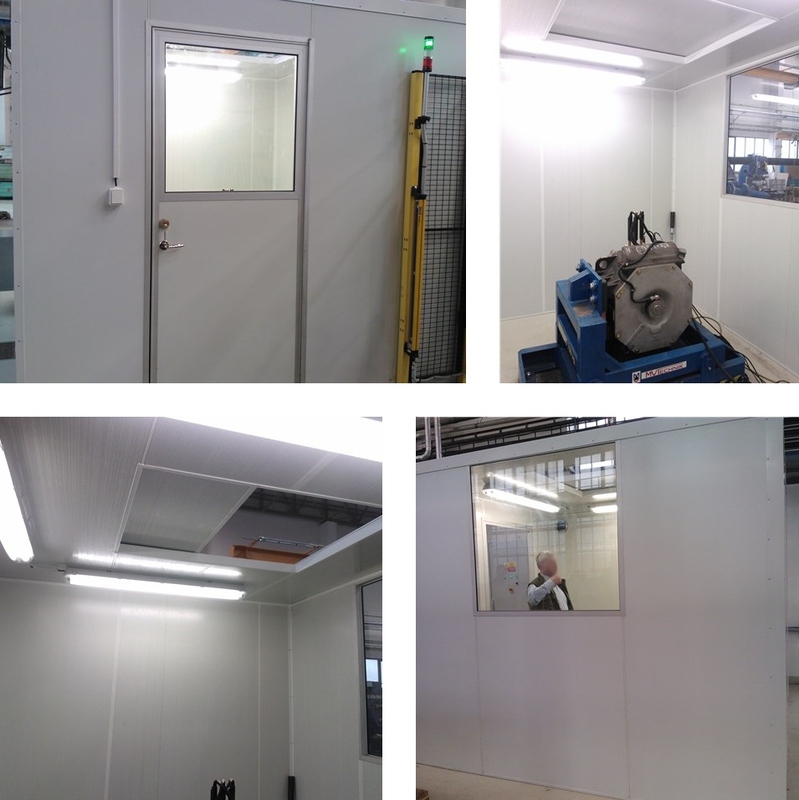 Noise shelter in the testing facility for traction motors in the J hall Kačerov Carriage and Wagon Shop of Siemens, s.r.o. The acoustic shelter consists of walls and a ceiling made from Isolamin panels with internal perforation. The investor requested an opening in the ceiling with a sliding cover, controllable from the inside. The opening is used for inserting and removing tested motors. Sliding the cover to the side creates a 1 x 1 m opening. The acoustic shelter is self-supporting, no additional type of support has been used. The shelter is equipped with lighting and ventilation with an intake louvre and a ventilator with a noise muffler.